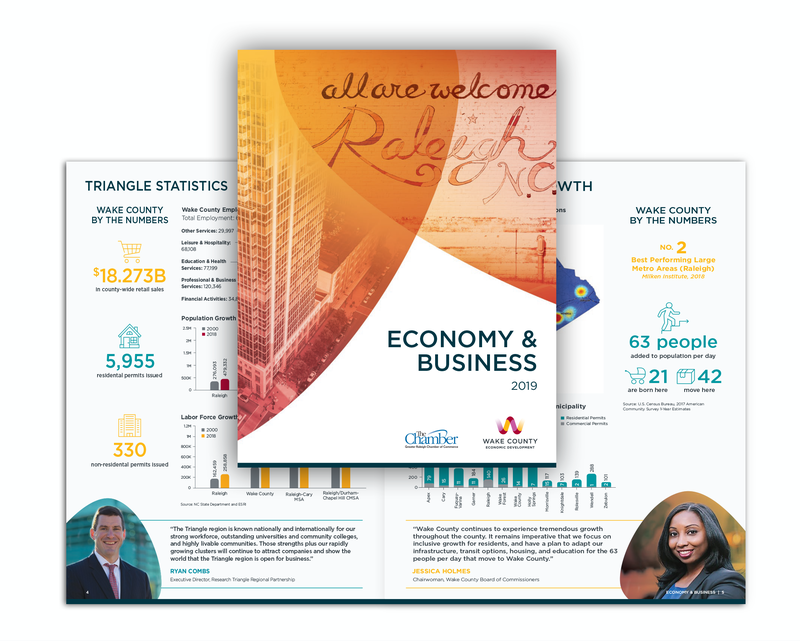 Wake is the largest county in the Research Triangle region of North Carolina and is home to Raleigh, North Carolina's state capital. For the past two decades, we have been one of the fastest growing communities in the U.S. The reason for this impressive growth is simple: smart people want to live and work with like-minded professionals in a community that is well positioned for the future. Our county has the desire to always be innovative and move forward, while not forgetting our roots in southern charm and community. Our region is one of the few areas in the country that has a genuine “21st Century economy”. Over the last three decades, the nature of economic activity has dramatically changed. The world has moved from a “brawn-based” economy built around physical work to a “brain-based” economy using cognitive skills. Wake County has kept up with this movement through its innovative companies, highly skilled workforce and private-public partnerships.